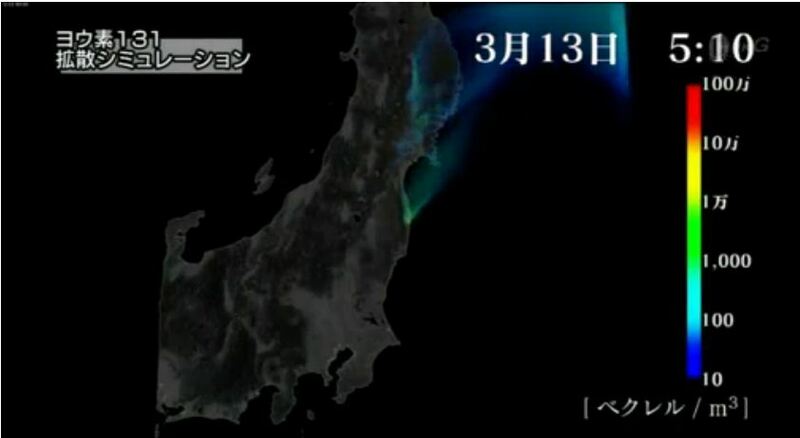 This set of modeling images were taken from an NHK documentary. A group of researchers modeled the releases of iodine 131 over the early days of the disaster. 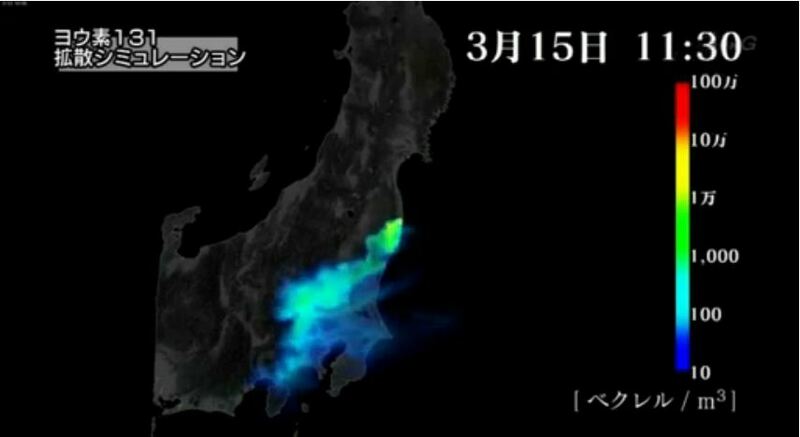 Their modeling shows contamination as far away as Tokyo and Yokohama. 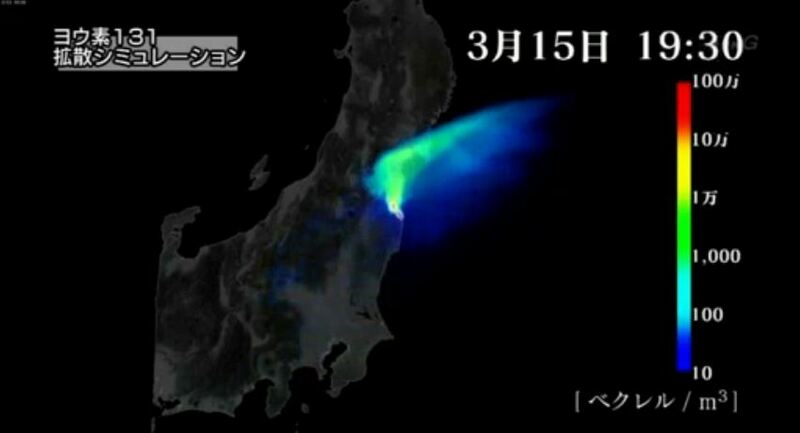 Considerable amounts of Iodine 131 blew over Chiba. 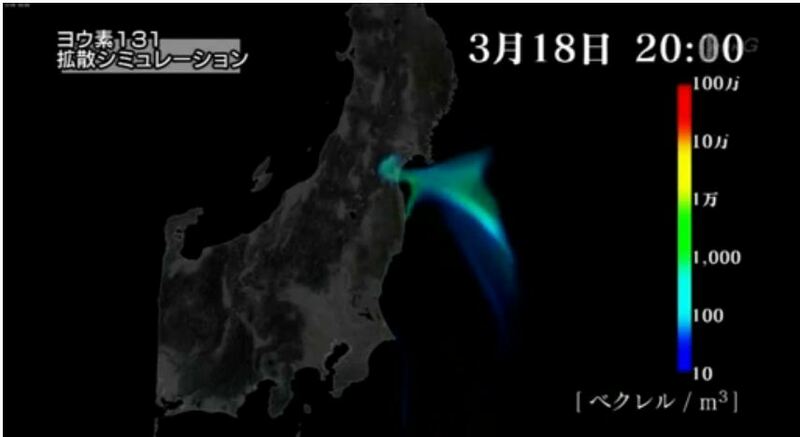 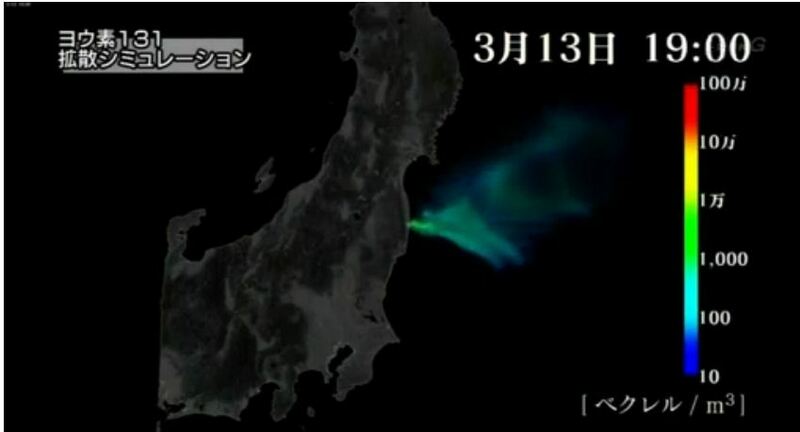 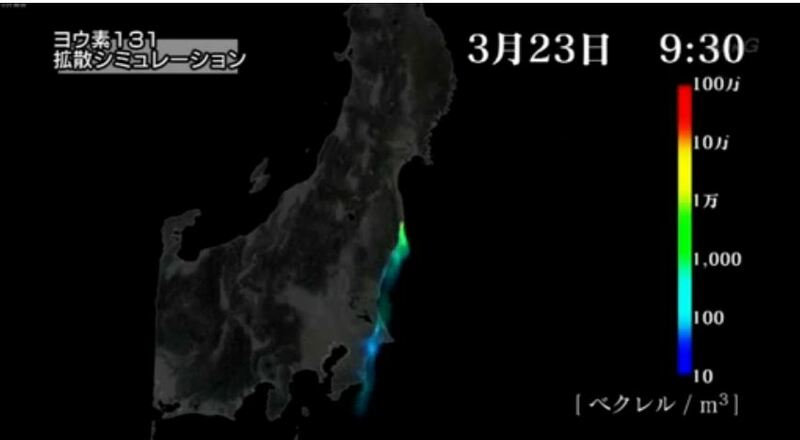 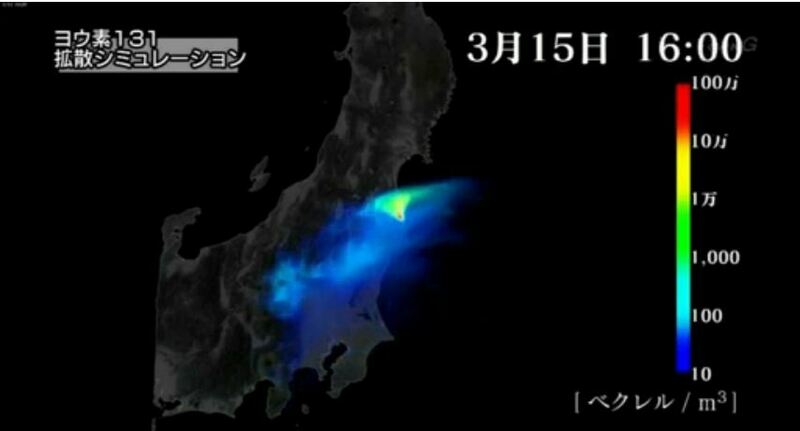 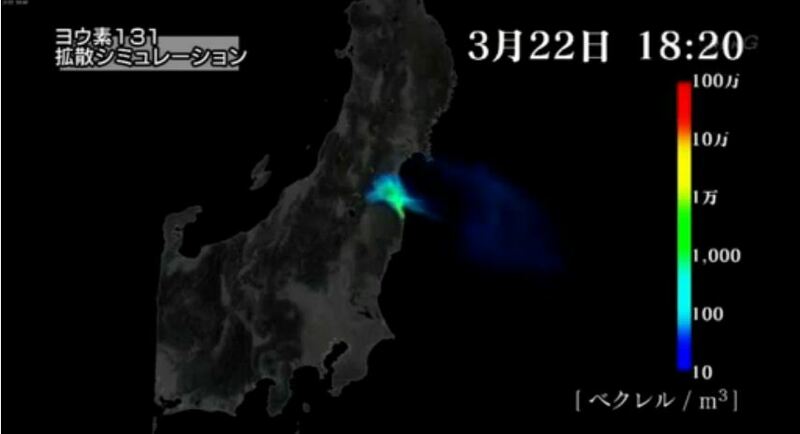 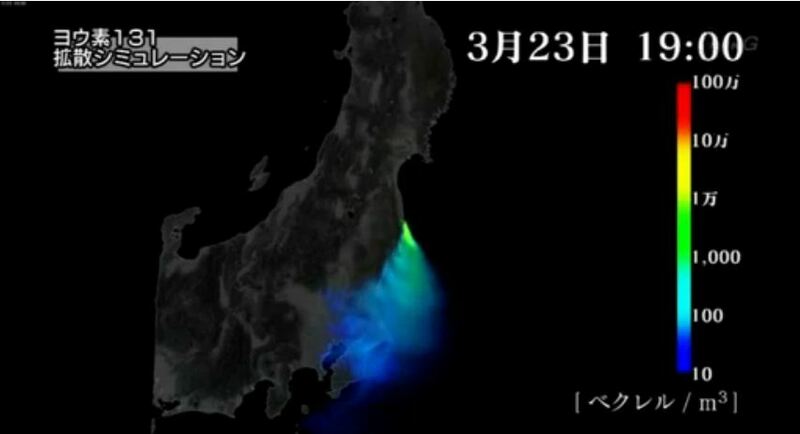 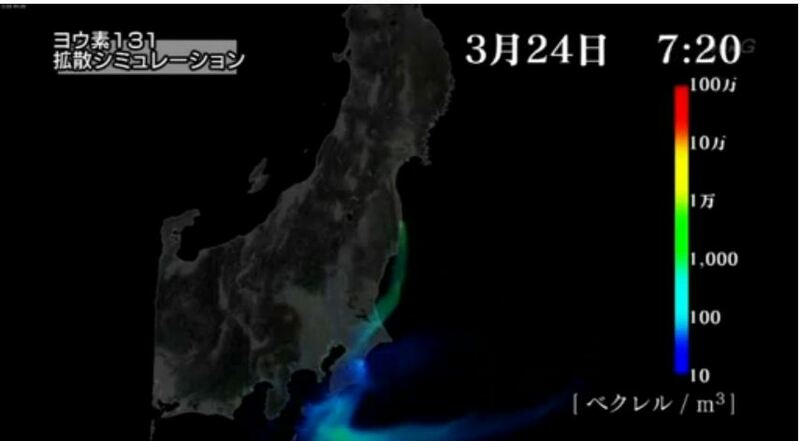 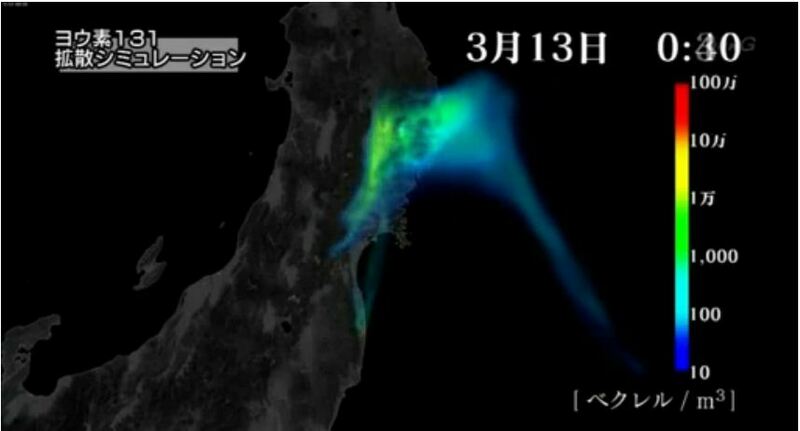 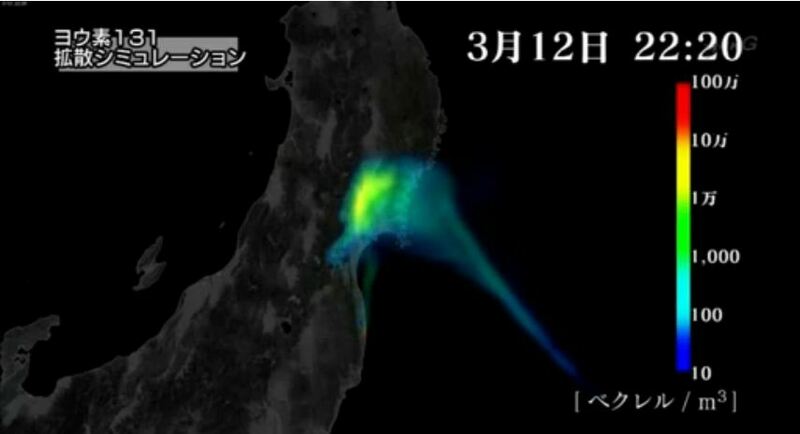 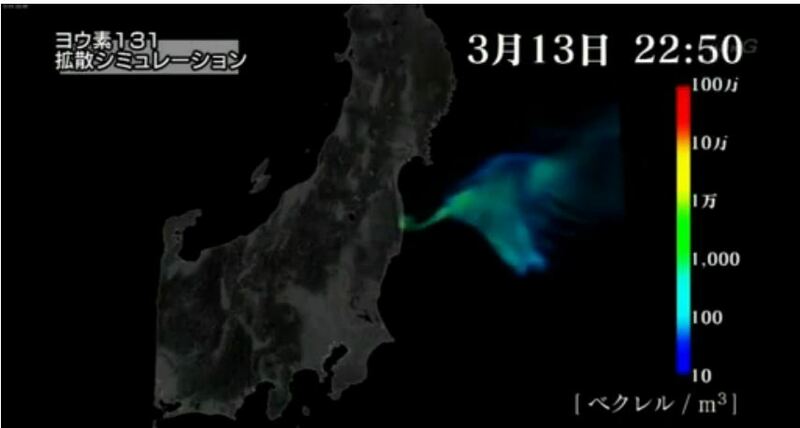 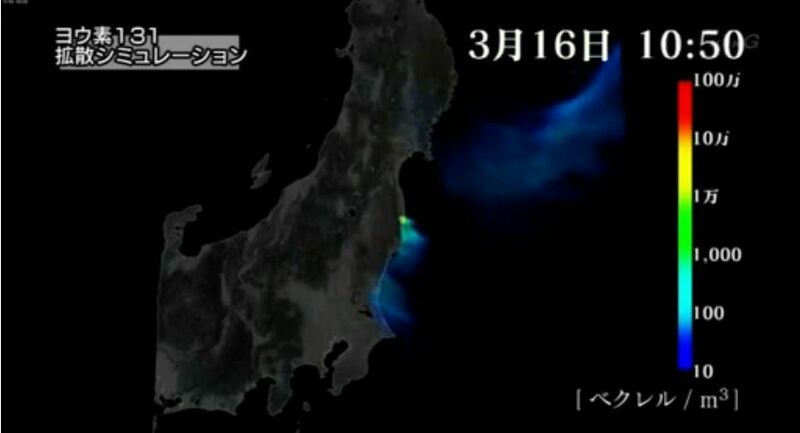 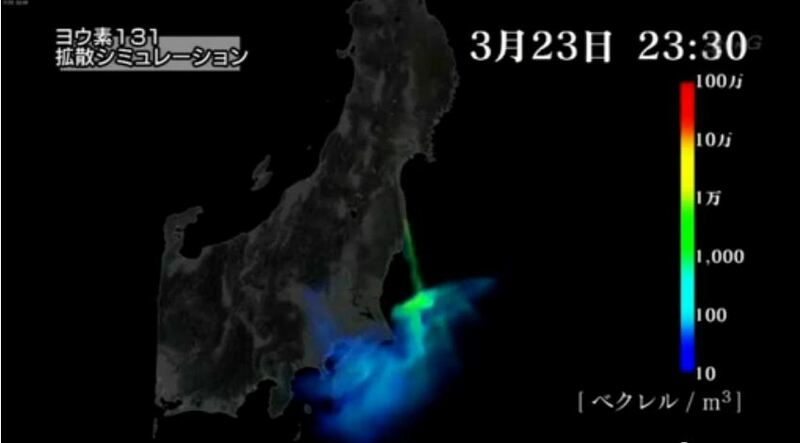 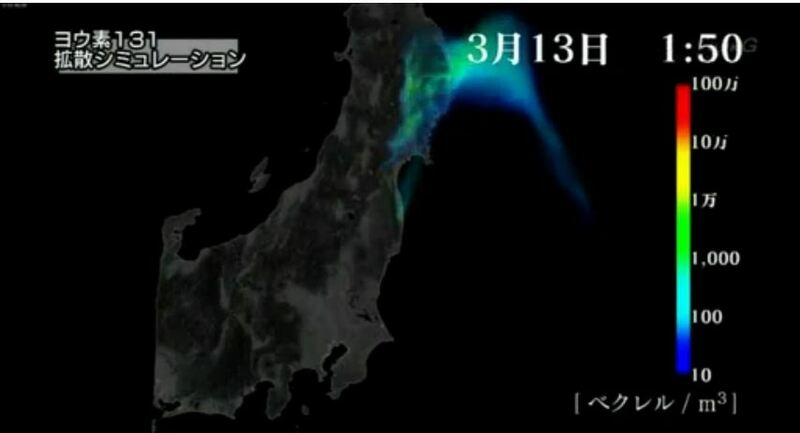 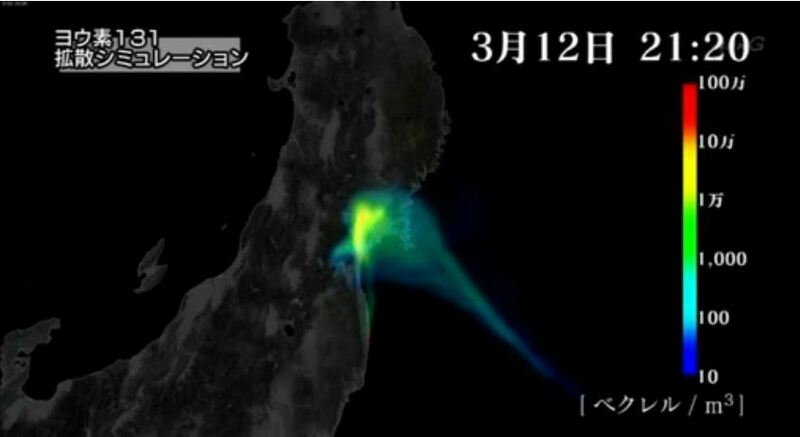 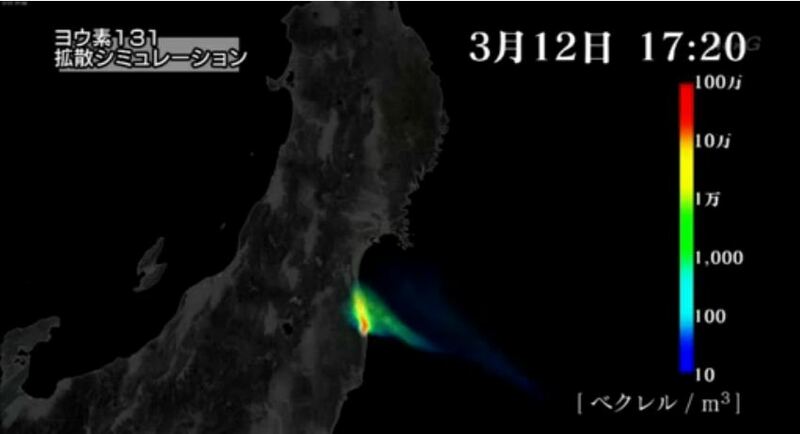 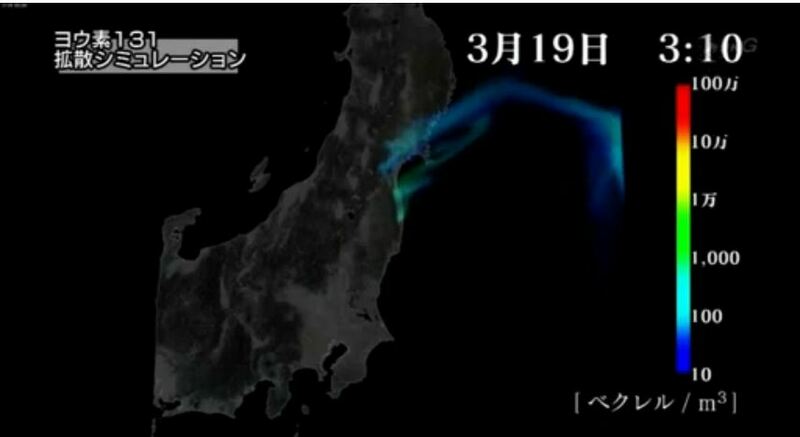 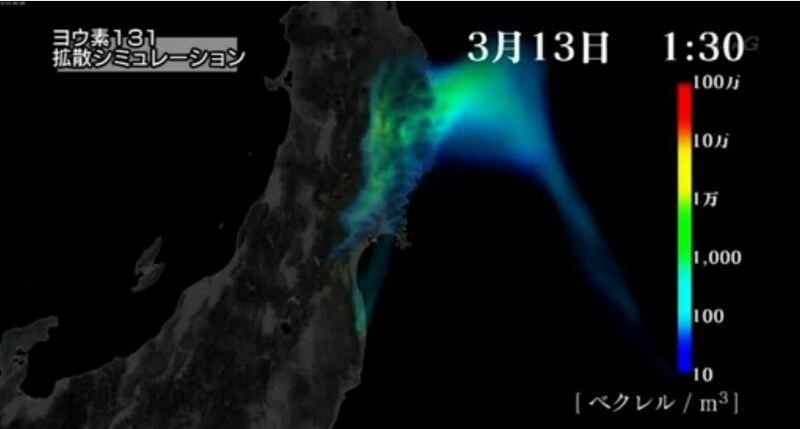 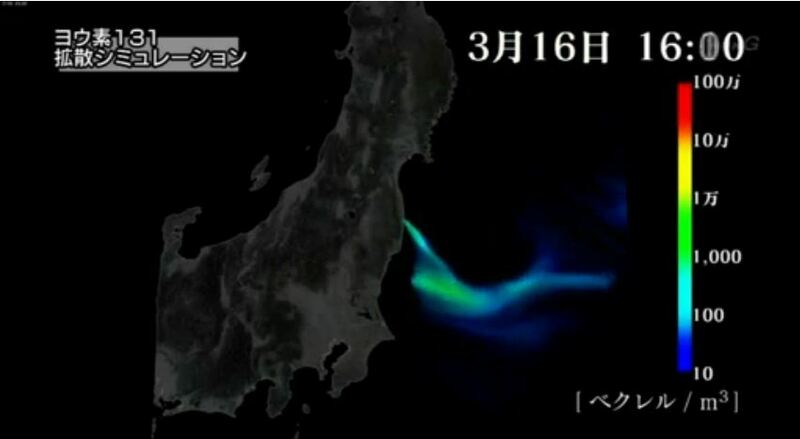 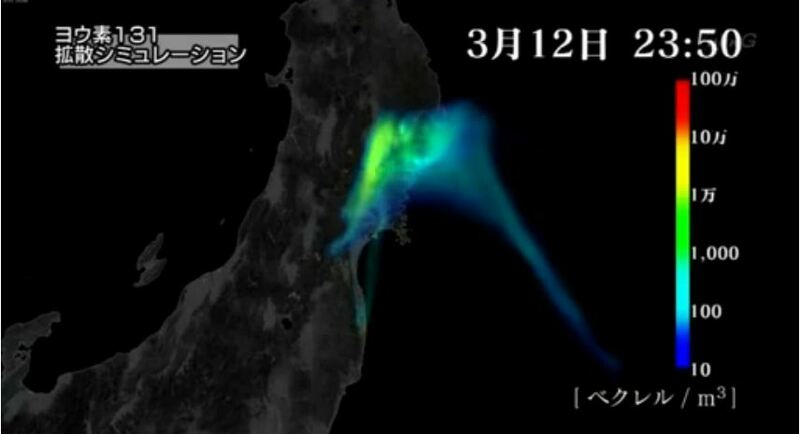 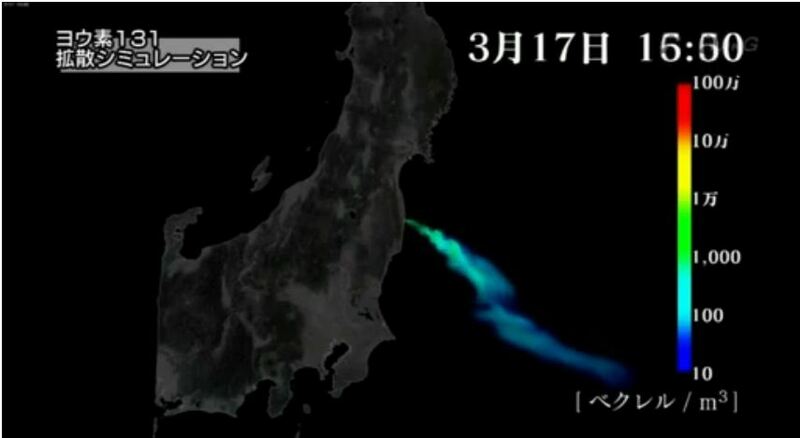 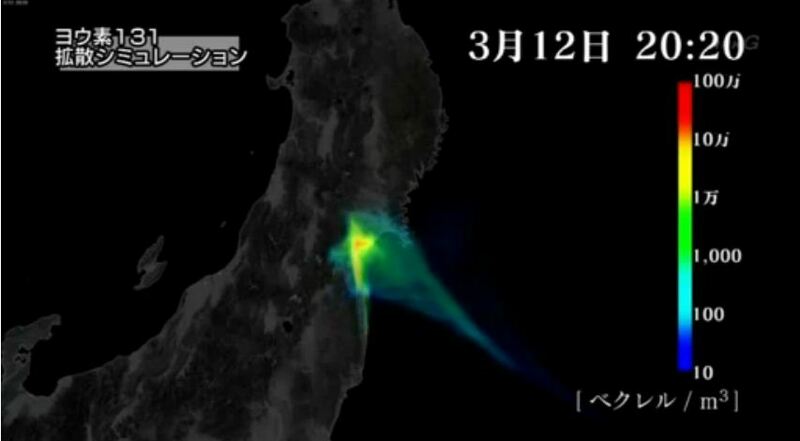 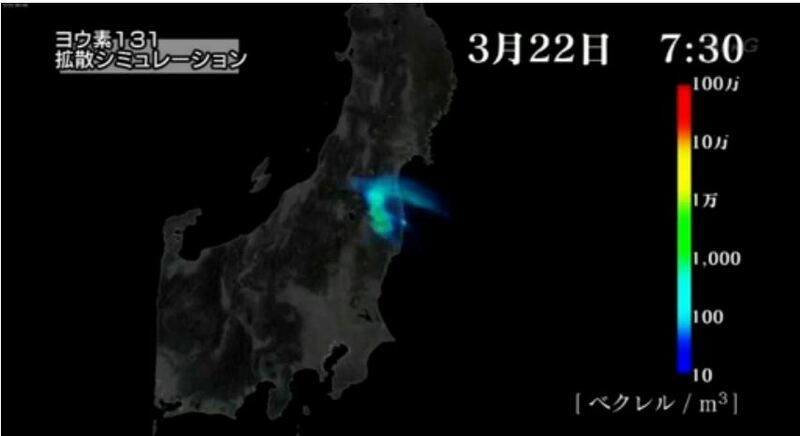 There was also a concentrated wave that went over the Fukushima City area. 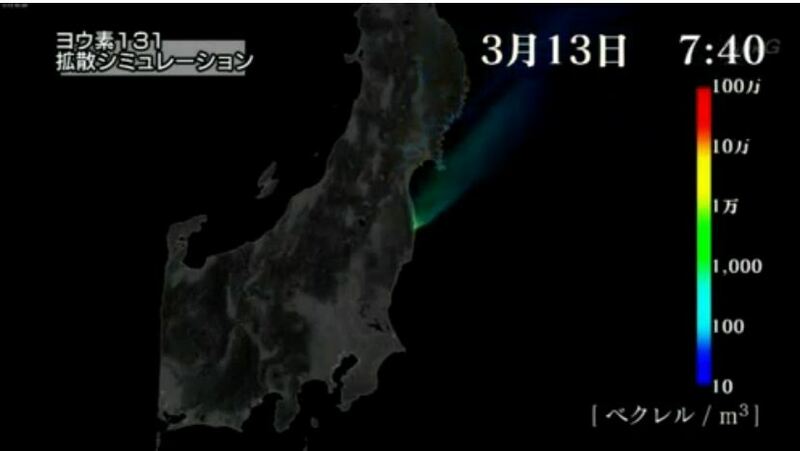 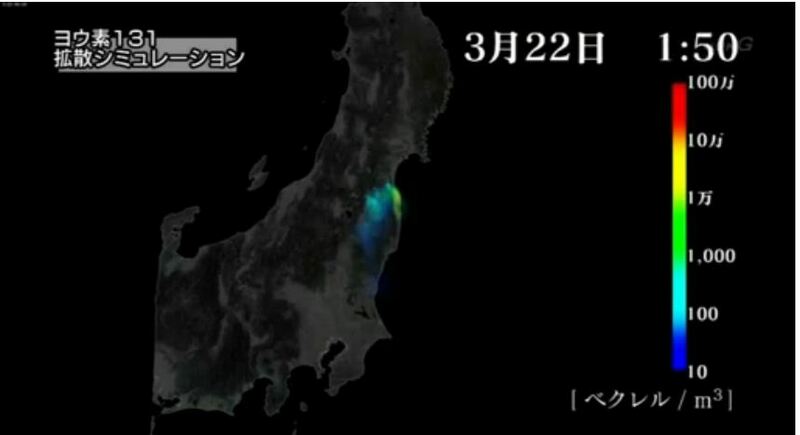 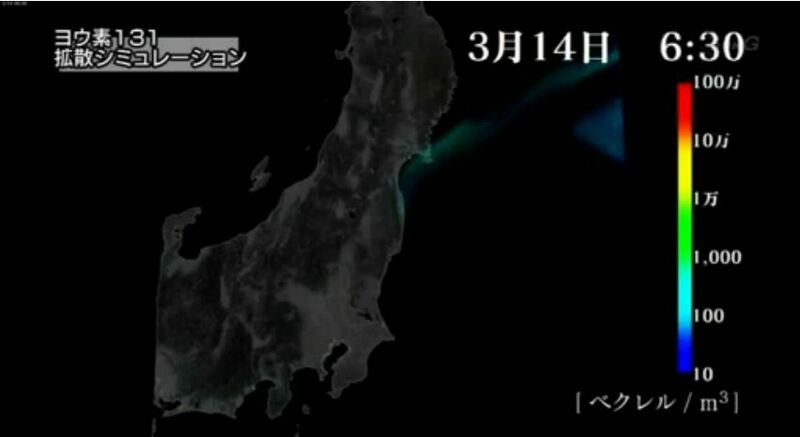 Iodine also repeatedly blew over Miyagi prefecture. 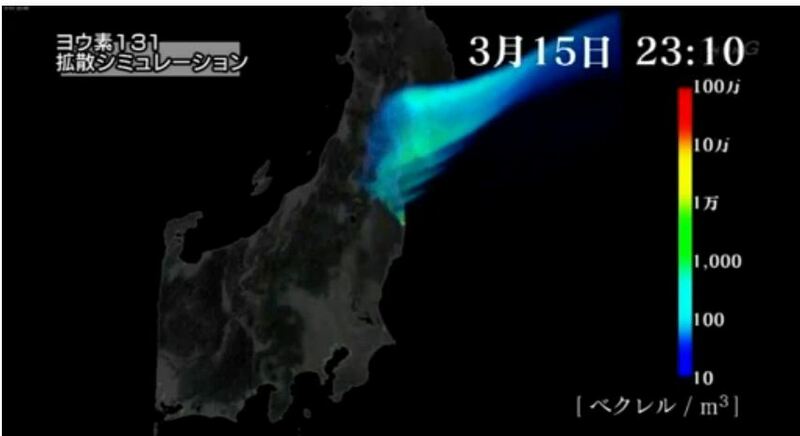 The model estimates a 5 year old child would receive 200 mSv thyroid dose if exposed continually with no protection at the highest range in the model. This does not assume this was an actual exposure but is intended to be a “maximum possible exposure” example. Many thanks to Dr. Kobayashi for his translation assistance on this effort.